Boots 'Hedge Rose' Cup & Saucer x 4. Bury Hospice serving the people of Bury, Radcliffe, Prestwich, Whitefield, Ramsbottom and Tottington. Bury Hospice Furniture Warehouse. You must take reasonable care to ensure the goods reach us in their original sale condition. 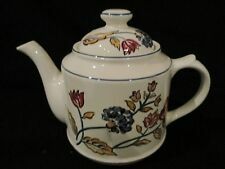 Boots Hedge Rose pattern teapot. The'Buy it now' button has been replaced with 'Add to basket'. Boots 'Orchard' - Kitchen Scales. Poole Pottery Twintone Mushroom / Sepia Dinner Plates x 4 (#201614890509) £15.99 View Item. MASONS VISTA CRESCENT DISH (#201588338655) £21.99 View Item. ROYAL WORCESTER VERY IMPORTANT PERSON LARGE TEA CUP & SAUCER V.I.P. (#201629276215) £19.99 View Item. Boots Hedge Rose - 4 Starter, Salad or Dessert Plates 8.5"
Lovely Large Teddy Breakfast Cup & Saucer. 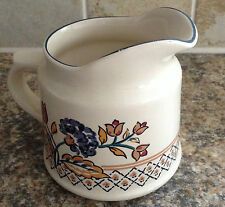 Boots Hedge Rose Pint jug. Boots Hedge Rose Napkin Rings in original box. This lovely Boots Camargue with cross hatch Teaset has only ever been on display on my kitchen dresser and has never been used. Made in the UK. Dishwasher, freezer and microwave proof. Gravy boat and saucer saucer. Lovely lidded casserole dish in the Hedge Rose design by Boots - great condition but has a small flaw in the glaze ( see photo ). HEDGE ROSE. In excellent condition. Vgc. No chips or cracks. SqCamargue 4 slice toast rack. Cavendish covered sugar bowl. Overall height 11.5 cms. Boots Camargue. In very good condition, unused. 2 x Boots 'Orchard' - Side Plates. (All sizes aprox.). Coffee pot from the Camargue dinnerware range by Boots. Boots 'Orchard' - Gravy Boat.